Every fall for the past 10 years, we have traveled to Clemson, South Carolina for fall break. Football game on Saturday (sometimes), long ride for me on either Sunday or Monday (or both), and drive back home on Tuesday usually after visiting local apple orchards in the mountains. My bike rides over fall break have all been epics with a mix of sentimental old routes from college with a few new roads and climbs thrown in each year. 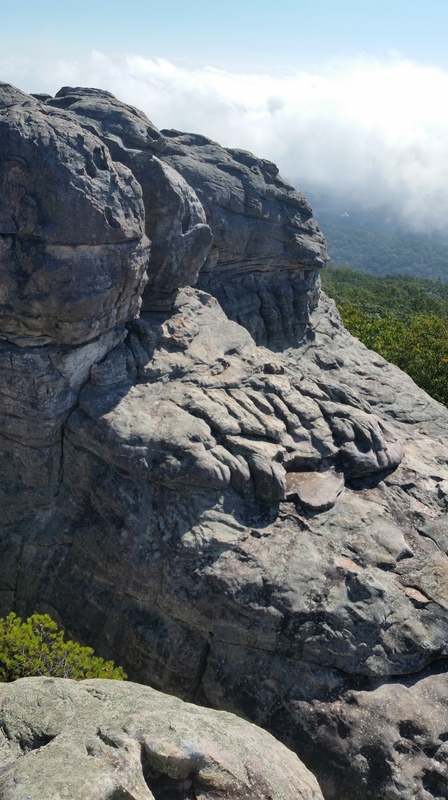 This year we had so much going on here in Alabama that we weren’t able to make it up to South Carolina, so I planned out an epic with the idea of exploring someplace new to me … and I found it – Cherokee Rock Village on Shinbone Ridge on Lookout Mountain. Cherokee Rock Village bouldering near the Weiss Lake drop-off. I set off on a 250+ mile adventure riding from my house northeast past Gadsden to Weiss Lake at the foot of what I would hope would be a new Cat 2 climb from lake level up to the top of Cherokee Rock Village. Even though the climb meets the minimum requirements for a Strava Cat 2 climb of more than 320 meters vertical difference from bottom to top, at only 2.98% average gradient it just barely misses the 3% cut-off. This entry was posted in Adventure, Training and tagged adventure, alabama, epic, maps on October 18, 2015 by kartoone. This entry was posted in Racing and tagged adventure on February 25, 2015 by kartoone.